Cameron Dallas and Shawn Mendes have a whole lot of history. These two might be huge stars now, with Shawn taking the music world by storm and Cameron modeling for prestigious brands along with acting and working on his own tunes, but once upon a time life was much different for them. It's kind of hard to actually remember the time that Cam and Shawn actually used to spend tons of time together when they were on MagCon, touring all over the country meeting their fans. (OK, who are we kidding we remember it all too well if we're being honest here.) 2013 was a much simpler era and now, everyone is left wondering if these two are actually still close. So we're breaking it all down and digging into a timeline of their friendship. Shall we? How did Cameron and Shawn meet? We can thank the powers of MagCon and the man behind it all Bart Bordelon for bringing these two together since Shawn had amassed a huge following on Vine, as did Cameron, along with his massive Instagram and YouTube accounts. So they were recruited for this tour and as you already know, they were part of the OG MagCon lineup and were good buds. Remember when they walked through an amusement park holding hands? And when Shawn gave us all the iconic song that is "Cameron Dallas Is My Boyfriend." But Shawn ended up getting a record deal and MagCon seemingly split, with the first line-up all going their separate ways. Did Cameron and Shawn get into a fight? 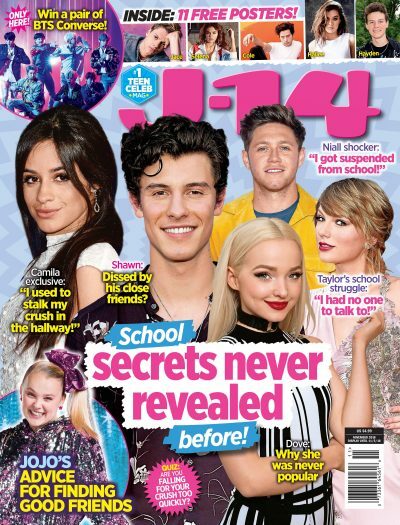 It doesn't seem like Shawn had any sort of falling out with the web stars he used to call BFFs before he became a music superstar, and there was a time in 2014 when he even defended Cam and Nash Grier when he appeared on a morning show they were on and the host made it clear she didn't think they had any talent as compared to Shawn. "They're very funny though, I can't put them down. They're hilarious boys, I know them, they're very funny and witty and creative. But I started posting covers and stuff so it's a different spectrum," Shawn said in the guys' defense. What a guy he is. But then came that time in 2015 when Cam threw some shade Shawn's way. It all went down on Instagram after the singer posted a pic of Taylor Swift bringing him out on stage to have the audience sing "Happy Birthday" to him since he was one of her opening acts on her 1989 Tour. And tbh, this might just be the best gift of all time. "Coolest birthday ever. Taylor brought me up on stage and had a crowd of 60 thousand people sing happy birthday to me. So lucky to be on tour with someone so incredibly kind. You rock Taylor. Thank you so much! ❤️," Shawn wrote in the caption. Fans snagged screenshots of Cameron commenting on the pic saying his friend should "remember the people" who helped him get to where he is. Yikes. Perhaps Cameron was bummed he wasn't in Shawn's "Life of the Party" music video, since Nash, Aaron Carpenter, and Jack and Jack all had a cameo in it and he didn't. But not too long after this, Cam took to Twitter to let everyone know he had reunited with some of his MagCon buddies, including Shawn, and all was well between them. So whatever rough patch they may have had came and went pretty quickly. Are Cameron and Shawn still friends? It's clear the guys don't hang out a ton like they used to, but there is still plenty of love and respect for each other. When Shawn's sophomore album Illuminate came out in 2016, Cameron let everyone know just how impressed he was with the music. Then in early 2017, Shawn took to Twitter to publicly congratulate Cam on his Netflix series, Chasing Cameron. The fact that Shawn brought up how he'll never forget where he started is just precious and Cameron was clearly over the moon excited to have his bud's approval. Are Cameron and Shawn still a part of MagCon? Shawn is no longer part of MagCon, since he's busy touring the world and making music but after taking a break from it all, Cameron is still a main member and ringleader behind the newer tours. But as the "Mercy" singer has made clear time and time again, he doesn't ever forget his roots. "Oh dude, I was so lucky. That doesn't happen. Artists don't come across having a fan base before releasing a song. I had immediate support from the first single I released… And that confidence boost off the top gets you kick-started like nothing else," Shawn said in an interview about his early rise to fame on social media before he ever released any music. So while Shawn and Cameron have a bit of a complicated relationship, we know they'll always have each other's backs. They might not actually be related, despite looking alike, but they for sure are brothers forever. And at least we have all the old pics and videos to look back on from their glory days together, right?